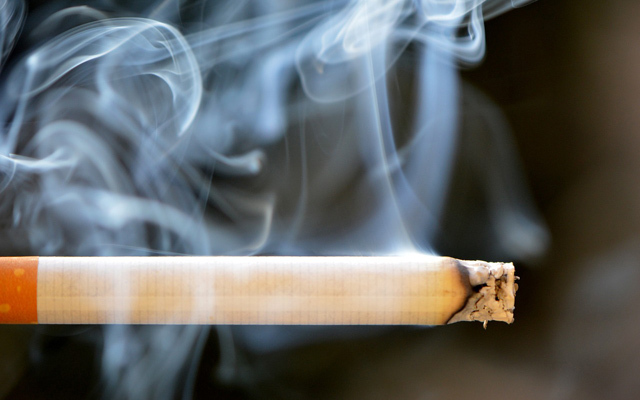 Bacteria exposed to cigarette smoke are more resistant to the immune system. Methicillin-resistant Staphylococcus aureus (MRSA), an antibiotic-resistant superbug, can cause life-threatening skin, bloodstream and surgical site infections or pneumonia. Researchers at the University of California, San Diego School of Medicine now report that cigarette smoke may make matters worse. The study, published March 30 by Infection and Immunity, shows that MRSA bacteria exposed to cigarette smoke become even more resistant to killing by the immune system. “We already know that smoking cigarettes harms human respiratory and immune cells, and now we’ve shown that, on the flipside, smoke can also stress out invasive bacteria and make them more aggressive,” said senior author Laura E. Crotty Alexander, MD, assistant clinical professor of medicine at UC San Diego and staff physician at the Veterans Affairs San Diego Healthcare System. Crotty Alexander is a pulmonologist who sees many patients who smoke cigarettes. She also sees many MRSA infections, and that got her wondering if one might influence the other. To test the hypothesis, Crotty Alexander and her team infected macrophages, immune cells that engulf pathogens, with MRSA. Some of the bacteria were grown normally and some were grown with cigarette smoke extract. They found that while the macrophages were equally able to take up the two bacterial populations, they had a harder time killing the MRSA that had been exposed to cigarette smoke extract. To better understand why, the Crotty Alexander team tested the bacteria’s susceptibility to individual mechanisms macrophages typically employ to kill bacteria. Once inside macrophages, smoke-exposed MRSA were more resistant to killing by reactive oxygen species, the chemical burst that macrophages use to destroy their microbial meals. The team also discovered that smoke-exposed MRSA were more resistant to killing by antimicrobial peptides, small protein pieces the immune system uses to poke holes in bacterial cells and trigger inflammation. The effect was dose-dependent, meaning that the more smoke extract they used, the more resistant the MRSA became. MRSA treated with cigarette smoke extract were also better at sticking to and invading human cells grown in the lab. In a mouse model, MRSA exposed to cigarette smoke survived better and caused pneumonia with a higher mortality rate. The data suggest that cigarette smoke strengthens MRSA bacteria by altering their cell walls in such a way that they are better able to repel antimicrobial peptides and other charged particles. “Cigarette smokers are known to be more susceptible to infectious diseases. Now we have evidence that cigarette smoke-induced resistance in MRSA may be an additional contributing factor,” Crotty Alexander said. Study co-authors include Elisa K. McEachern, John H. Hwang, Katherine M. Sladewski, UC San Diego and Veterans Affairs San Diego Healthcare System; Shari Nicatia, UC San Diego, Veterans Affairs San Diego Healthcare System and Utrecht University; Carola Dewitz, UC San Diego, Veterans Affairs San Diego Healthcare System and University of Veterinary Medicine, Hannover, Germany; Denzil P. Mathew, Veterans Affairs San Diego Healthcare System; and Victor Nizet, UC San Diego. This research was funded, in part, by the U.S. Department of Veterans Affairs.